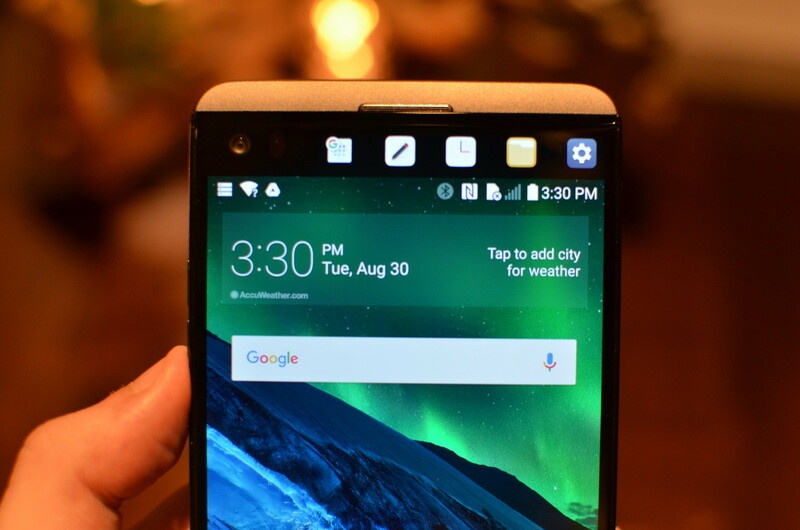 When LG released V10, it had one extra display which they call Ticker. With the latest LG V20, the manufacturer has further improved on the delivery, and although secondary displays are still not a smartphone feature that's expected to go mainstream anytime soon, people are liking the concept of this display. Today, we got to know by the famous leakster Evan Blass, that the LG V30 won't come with the series' marquee secondary ticker display. Although the tipster did not share any other information, he did indicate that the ticker display will be replaced with something else. Although optimism will definitely lead LG fans to believe that something better than a secondary display is on its way to the LG V series, Blass was unwilling to spill the beans just yet. Blass says that is telling us this information on the basis of leaked renders of the LG V30. Blass in this game for long and built his reputation by leaking thousands of renders that is why are believing him, although no official words from the company so we can't say anything for sure due to last minute changes can happen. With so much to go until the LG V30 is expected to enter mass production, even if Blass is right and the secondary display is gone in the current designs, LG might change its mind over the next few months. What do you think about this guys? Is LG is planning something bigger than ticker displays? Update : Evan Blass now suggests that the second display isn’t going anywhere. It was nothing but an mistranslation of what he wanted to say.